There’s a certain joy in grabbing take-out on the way home after a long day or being treated to a delicious dinner and not having to lift a finger. We’re all guilty of making that Cookout pit-stop after classes, but there’s satisfaction to be found in cooking your own dinner. This recipe will take no more than thirty minutes out of your study schedule and, experienced or not, this easy to follow Saucy Shrimp Pasta recipe will have you feeling like a chef. Boil your pasta according to the instructions on the box. You know, boil the water, add the spaghetti, cook to taste. If you prefer al-dente (firm to the bite) cook for less time. Shell and de-vein your shrimp or, if you took the road more travelled, they are probably pre-cooked and you’ll just need to add them to your sauce. To prepare your sauce, heat olive oil with minced garlic and peppers for two minutes then add shrimp, cream and a dash of white wine. Stir in baking soda to thicken sauce and add lemon juice. Let this simmer for 15 minutes or 5 minutes for pre-cooked shrimp. 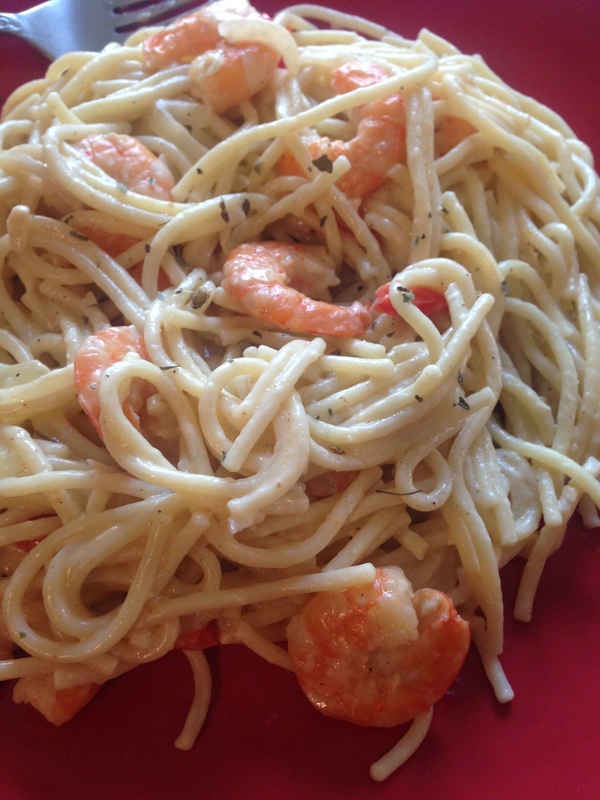 Combine your pasta with the shrimp sauce and garnish with parsley. Enjoy.